Creating a visual helps me stay focused on my goal. This year, as I sat down to reflect on the past year, my word jumped out at me. More and more, I’ve been learning to give up control and let others take the lead, in both my work and my personal life. As a type A person (read: perfectionist, workaholic, control freak) this is hard, but I’m trying. 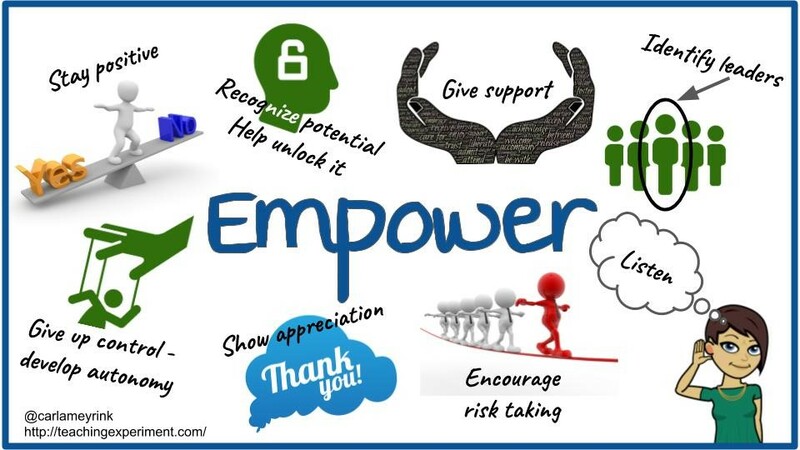 So without hesitation, I knew that “empower” would be my #oneword for 2019. Listen: give people the gift of your time and your full attention. Put down the phone, put aside your thoughts and worries, look at the person, and truly listen. Stay positive: our words have power. When we share a positive mindset, we empower others to focus on solutions rather than problems — to be inspired by challenges rather than beaten down by them. Recognize potential: People are often hard on themselves and don’t see what they’re capable of. We empower others when we help them recognize their strengths and build on them. Give up control: Yes, people can do things better than we do. When we give autonomy to others, not only do we empower them, we often discover new, more exciting ways of doing things. Encourage risk-taking: Trying something new can be scary, and sometimes people need a little encouragement to make that leap. Find the words that help them believe in themselves and their capabilities. Remind them that if something doesn’t work, it’s not the end of the world. They can always try again. Identify leaders: Letting people know that we see leadership qualities in them empowers them to hone their skills and take on new roles. Give support: As we allow others to take over, take risks, and become leaders, we also need to be there for them — offering help, training, and our time. Show appreciation: A sincere thank you goes a long way in empowering others. When we show recognition and gratitude, we let people know that we see their efforts and value them. I made the Google slide (above) because I find that creating a visual helps me stay focused I plan to put my reminder in several places (in my agenda and on my wall, for instance) and I’m looking forward learning to let go more and more in 2019 as I empower others to take the lead. Does anyone else focus on a single word to lead them into the new year? I’d also love to hear any ideas you may have to help me empower others!